15 fantastic front doors and gates! 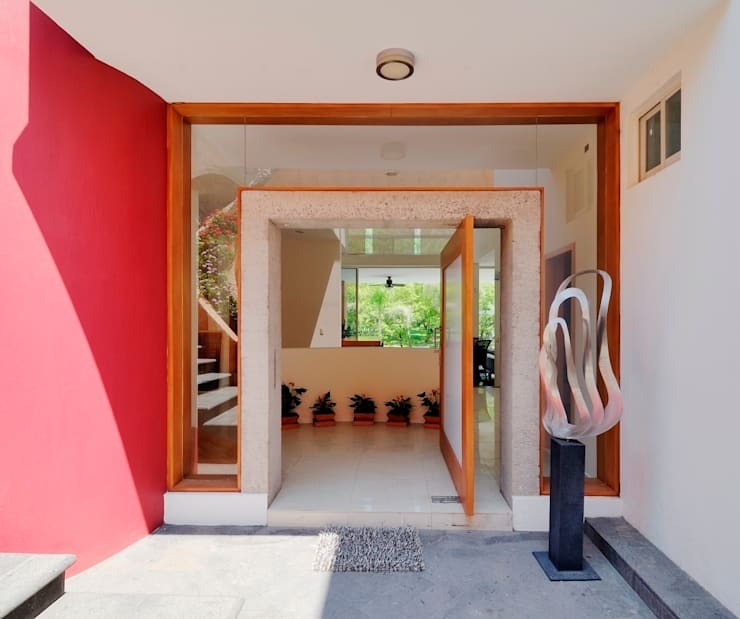 The front door or gate of the house can be exploited as a wonderful opportunity to express our personality, plus they can be a focal point to attract the eyes of anyone who passes the house. The front door, entrance or front gate can tell a lot about a house and those who inhabit it, which is why it is time for you to make the best of it! This is why, today at homify, we are bringing you 15 great ideas that will be a great source of inspiration to renew the look and feel of the entrance of your home. Don't you love this design by professionals URBN, which features decorative ironwork? 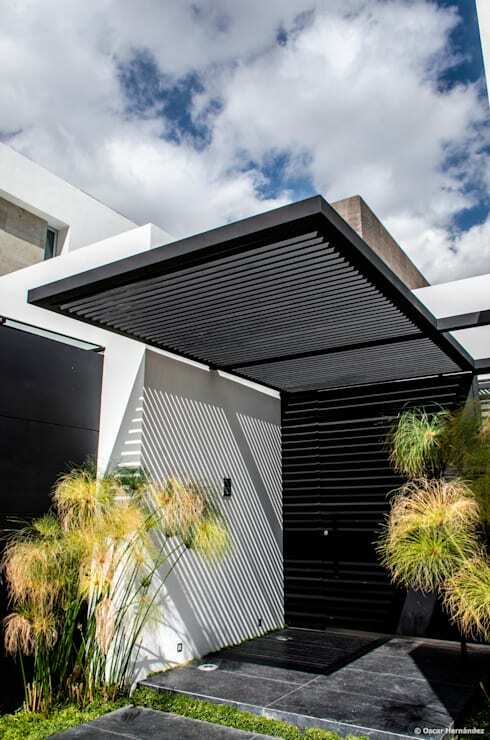 In this design, the gate is decorated with latticework, which provides security between the front door and the street. It also filters air and light into the home, providing it with a comfortable temperature and some beautiful soft light. 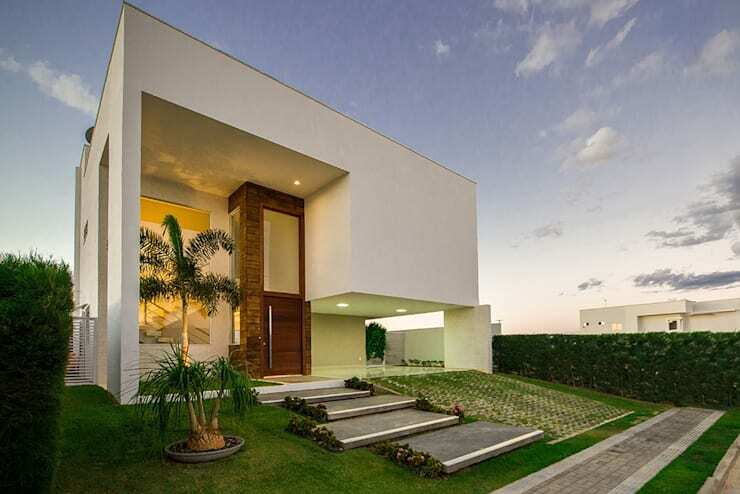 The combination of metal, stone and vegetation make this an ideal design! 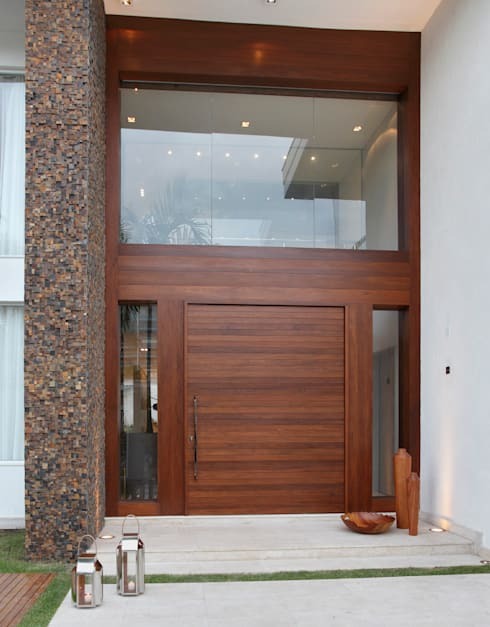 Wooden doors are a popular favourite in home designs, both inside and outside. They are safe, resistant and durable, although they may need some maintenance work if you live in an extreme climate. In this image, we come across a very interesting design where a wooden door is positioned underneath a flat glass window. This gives the whole entrance a very modern look and feel as well as a very special glow. 3. A combination of materials is spectacular! This look and feel is ideal for small facades. The lightness of the glass front door to the house combines perfectly with stone, wood and metal, giving all of the elements of this home a unique personality and character. Bring in a front door that reaches triple the height of the building itself and you get a very majestic effect, as we can see in this image. This long and high wooden door introduces volume to the house, while still remaining simple and elegant. 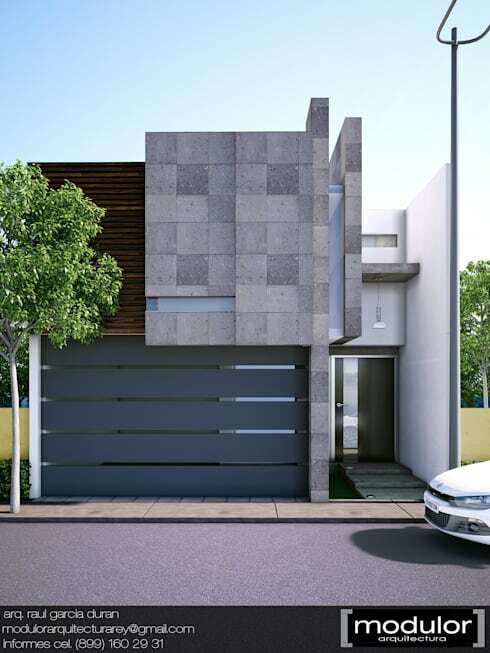 This design also see a natural combination of materials, which gives the facade a wealth of textures. This is a simple spectacular entrance! Also have a look at how you can create a beautiful entrance in six easy steps for inspiration. 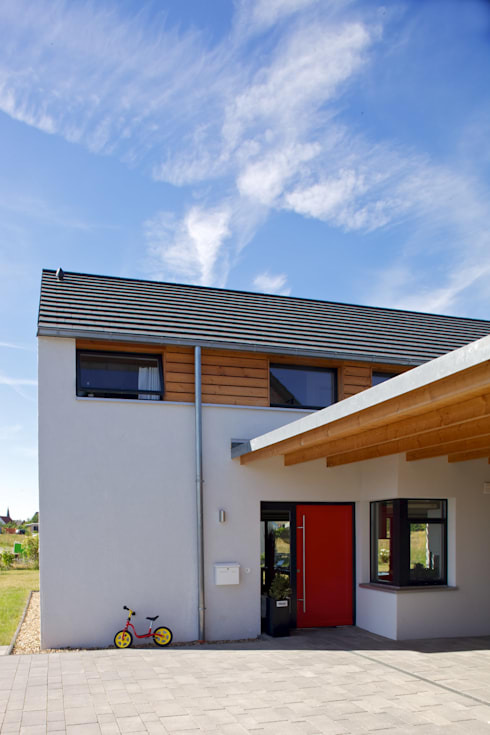 Steel is stronger than fibre glass or wood material, so it provides the best security, but the disadvantage is that it doesn't age as well as wood or glass does. In South Africa, steel is a great option because it prevents any strangers trying to enter our house. Steel doors are often equipped with high quality locks and bars that are virtually indestructible. 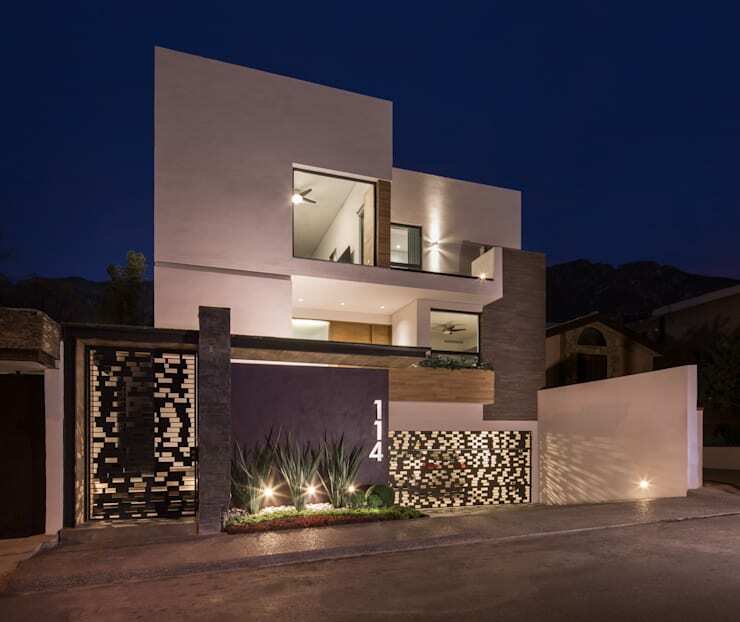 This design is ideal for the modern facade. 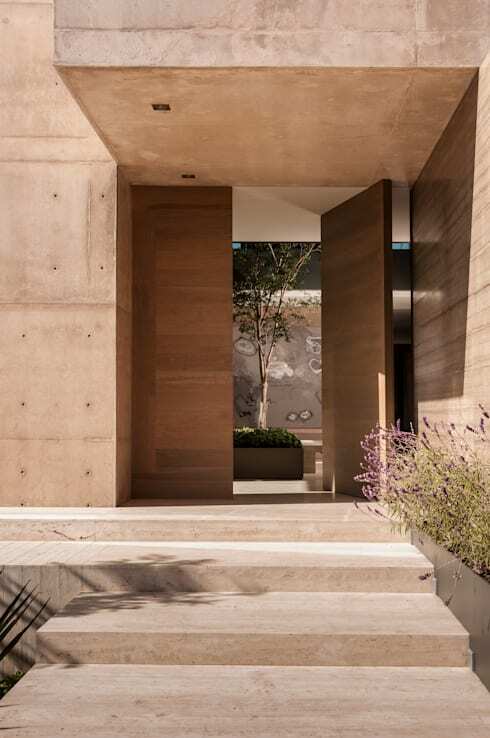 In the image of this house, we can observe how the neutral tones allow the door to become the protagonist of the space, accompanied with a nice little front garden that helps to highlight the natural beauty of the design. Here there is also a wonderful contrast of materials, which convey warmth and comfort. 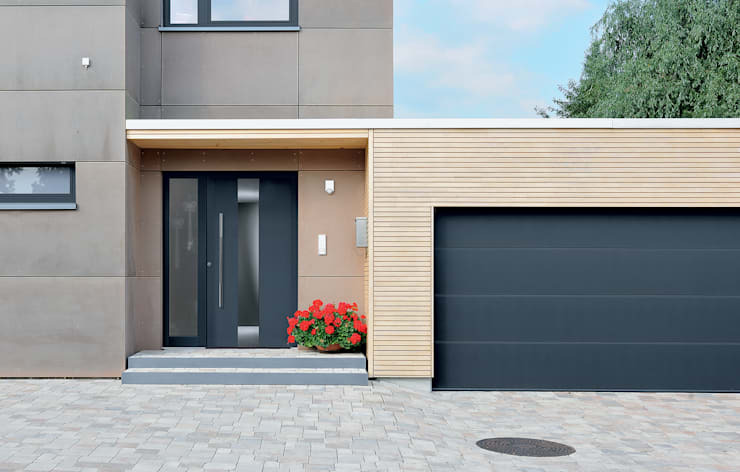 Wood offers many advantages when designing a door, including the colour, the style and the type of wood. It allows us to find a suitable and stylish piece, which can be made in custom sizes. Wood is often budget-friendly too. 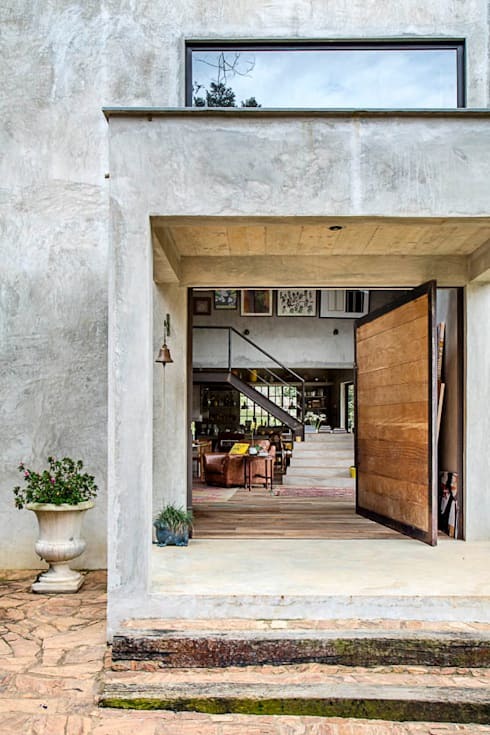 In home design where concrete is present as the main material, like in this image, the double door of wood breaks up the hard design, offering a warm welcome. The force that is transmitted from this front door is exceptional. The glass seems to withstand the effect of the large volume of the house that is serves, finding support while the marble frame emphasises the front door. For added security, frosted glass is a great choice because it provides privacy for the home. This door is extremely original and spectacular, with the long pathway that leads up to it accentuating the personality and charm of the entrance. 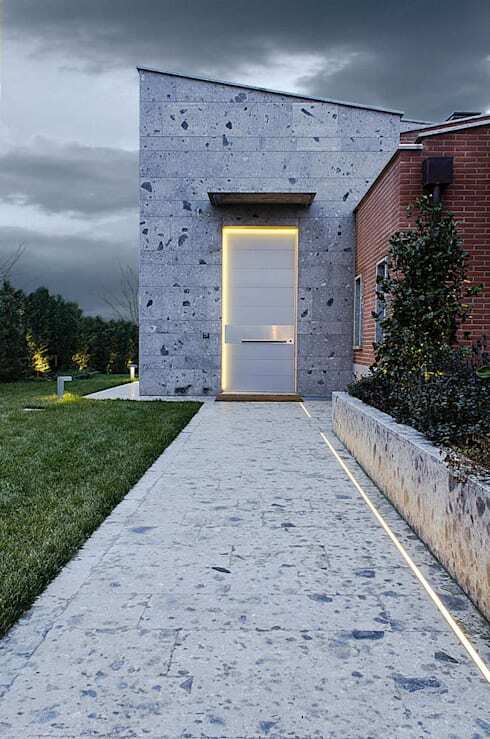 This design is full of textures and contrasts, including the light frame that has been formed in the contour of the metal door, giving it character while achieving a sense of lightness against the stone. This is another example of how wood and concrete work together but in a far more industrial chic way. The wood and the concrete are more rough and raw, taking on their natural state. This design can have an even bolder effect, with the rough textures contrasting with the concrete, enhanced by the touches of metal finishes. 11. Glass doors are a good choice. Glass doors are ideal when we have more light in the home, allowing us to maintain visual contact with the outside and integrating the interior rooms with the exterior spaces. The glass here gives us the illusion of larger spaces due to the transparency and lightness. In this example, we come across a vibrant contrast thanks tot he red wall, the glass frame and the wooden finishes. The beauty of the front door is truly highlighted. This small door takes advantage of a vibrant red colour to create a dramatic and sensational entrance the home. The bright colour contrasts with the rest of the neutral tones that have been employed, making for a very refreshing, warm and friendly welcome. Don't you love the wooden ceiling beams? 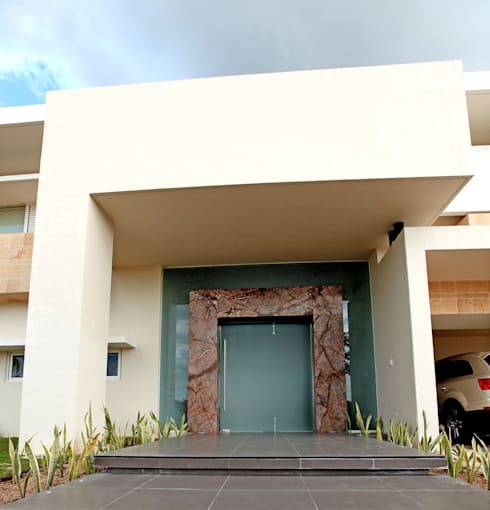 There are a variety of elements that can make the door and the entrance of your home a success. The pathway or staircase leading to the front door can introduce a fresh and colourful touch with potted flowers in bright colours. In this example, the contrast of wood, metal and black glass is very elegant next to the small red flowers, which highlight the clean lines and elegant look and feel. 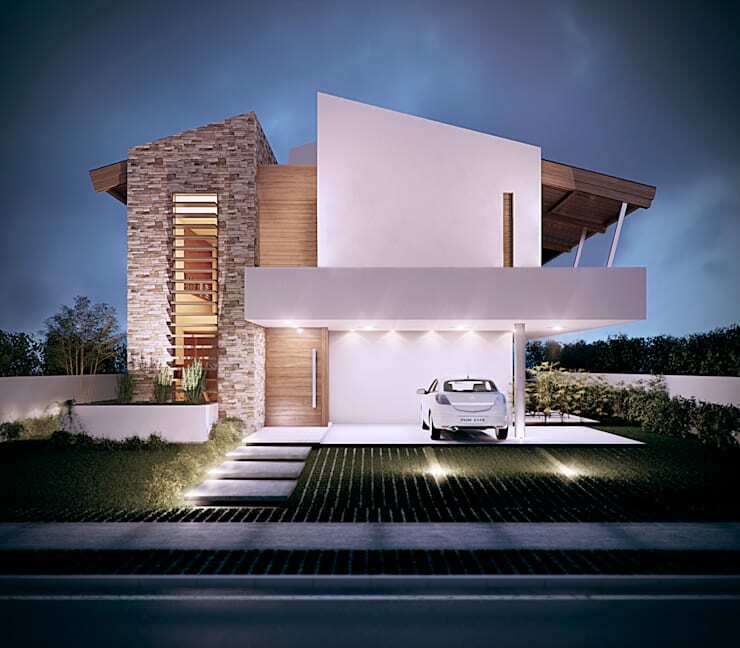 The front door of a house is an important element in architecture and design, as we have seen throughout this ideabook. 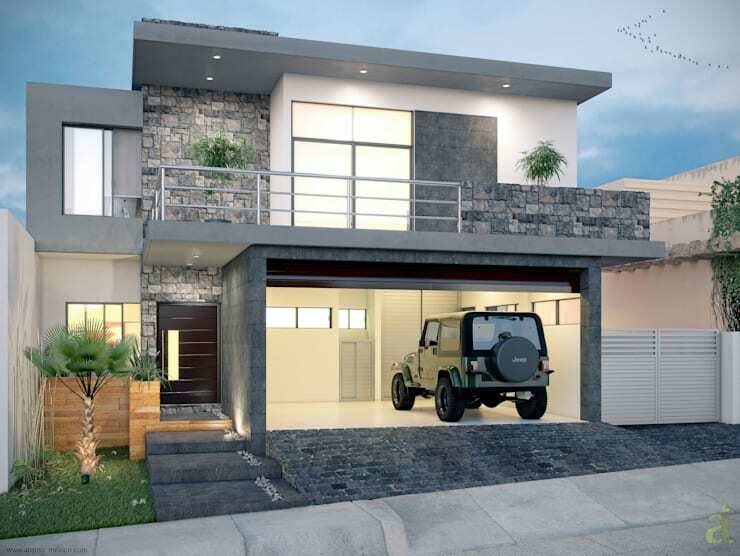 It should provide security but it should also enhance the aesthetics of a house. No matter what style you go for, ensure that you regularly care for and maintain your front door so that it continues to fulfill this purpose. This beautiful wooden door gives us the feeling of being embedded in the stone wall, which makes it feel like it is floating. The detail of the frosted glass in the door adds a very unique touch, which combines with the door to break up the hardness of the overall architecture. If you have enjoyed this ideabook, you'll love these: Tips for turning your driveway into a spectacular entrance. Which front door is your favourite? Comment below!